There is tactical survival and then there is tactical survival gear; and beyond all this, there are tactical survival gadget enthusiasts! For most people tactical survival is the forte of trained professionals who spring out of nowhere when you call the emergency line or when a disaster strikes and you need assistance from professionals to help you overcome or manage the disaster. 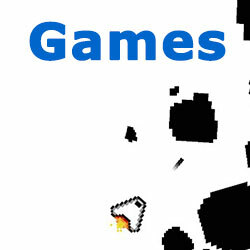 And for some others, tactical survival is just another part of the game called ‘life’. They like to be prepared of their own and on their own terms. They like to be ever ready to ensure that their family and their own survival is first their own responsibility; before they reach out for the phone or wait for help to arrive. They like to take things into their own hands, literally and otherwise. These enthusiasts, besides being prepared for the worst, are also on the lookout for gadgets and gears that can help them manage their survival situation better. They are keen to find tactical survival gears that can actually help them manage disaster situations, without having to wait for professionals to find them. And they are correct, not always do we have the time or the situation to just simply let things happen and keep waiting. There are, often times, the need to take things into our own hands; to take the responsibility for our own safety and for that of our families and near and dear ones! If you are one such enthusiast, or simply a newbie wondering how to be better prepared for survival, then this list of survival gears might just be what you are looking for! Often, in survival situations, visibility or the lack of it is what hinders most survival operations. Or at least makes it tougher! 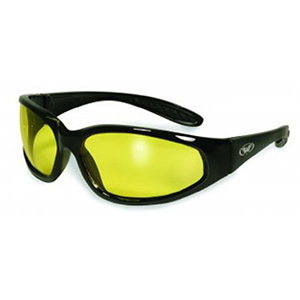 Tactical survival would require a good pair of vision enhancing goggles like these ballistic glasses. They promise shatter-proof polycarbonate lenses and UV protection, which makes a huge difference in survival situations. Besides having a scratch-resistant coating that ensures longer life of the glasses, the makers offer a choice of lenses that makes it easier to opt for one that suits your survival preparations and makes it an ideal tactical survival gear. 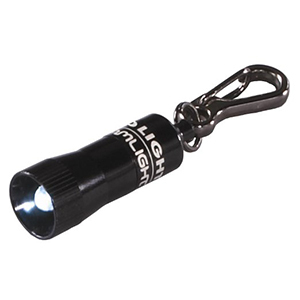 No survival tactical gear is complete without flash bangs, also referred to as stun grenades by some. However, considering the sensitive and volatile nature of these gears, it is even more important to store and carry them in a safe manner. This is where these Flash Bang pouches come in handy. Designed to hold two flash bangs, they come integrated with a hoop and loop silencer, elastic placeholders and an adjustable flap for closing. Often times, disaster situations can place you in scenarios where you are exposed to hazardous chemicals or dangerous gases that you could inhale; not to mention smoke or dust-filled environments that can test the limits of your lungs. 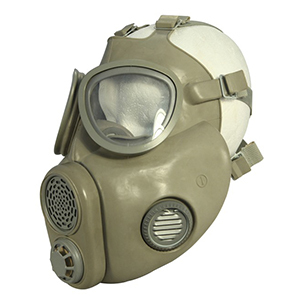 So, one survival gear that can make a lot of difference to your survival is this gas mask with filter. Designed with a full-face rubber mask, it offers full face coverage and your eye area can be protected with the impact resistant goggles that are included with it. It claims to offer protection from inhaling harmful toxins along with a guarantee that it is authentic military equipment. 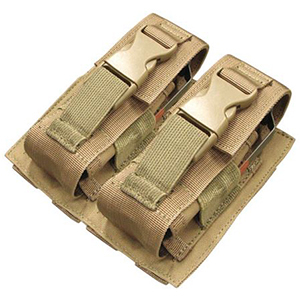 This simple looking piece of tactical survival gear could be one of your best bets when it comes to self-defence and protection during disaster or any other survival scenario. It claims to be made from aluminium and has a titanium colour which enhances its appearance. This simple self-defence mechanism also includes a spike on one end and is about 6 inches in length and ½ inch in diameter. 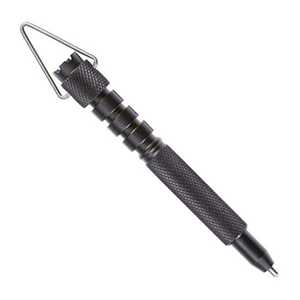 Compact and convenient to carry in your pocket; the right place to carry your self-defence tool! Survival often means doing the best with the least. Obviously, you can’t carry all you accessories and tools to wherever you go. So, when you need to choose the best you can keep, the lighter versions of many things makes it a forerunner in your survival kit list. This is where this Nanolight claims to be the best choice for you. True to its name, it claims to be tiny; but let not the size deter your determination. This flashlight promises 100, 000 hours lifetime and is powered by a 5mm LED. Made with aluminium casing with an anodized finish, it is weatherproof and can easily fit in your pocket or keychain! Rummaging through your backpack or survival kit for replacement batteries is the last thing you want to be doing during a survival situation, where time can be precious! And this is where this simple yet efficient battery case from Condor promises to help you. 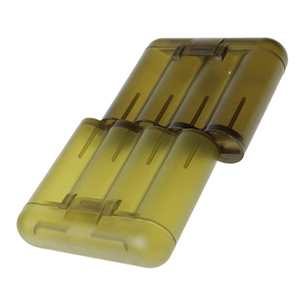 The makers claim that this case can be used to store 8 AA Batteries, 12 AAA Batteries or 8 CR2 or CR123 batteries. And what makes this case more convenient that any other ordinary off-the-shelf product is its sliding mechanism that allows you to store new and used batteries, separately. These are but a few of the gears that could make a great part of your tactical survival gear. Considering that they are not expensive enough to burn a hole in your pocket, but compact enough to fit in the same; these can be somewhere to start with for someone trying to put together their survival kit. And for survival gear enthusiasts, it could be just what you have been looking for to add to your survival backpack! So, get started; get your favourite or essential tactical survival gear today!